Dr Peter Baker is a Senior Lecturer at the School of Public Health, University of Queensland. He holds a position as a Senior Lecturer in Biostatistics at the School of Public Health and as a senior statistical collaborator, advisor and consultant to several research projects in the Faculty of Medicine, School of Public Health and the Queensland Clinical Trials and Biostatistics Centre. With thirty years experience as a statistical consultant and researcher, Peter has a passion for biostatistics applied to public health and medical research. He also champions reproducible research and reporting and to this end has developed R and Make software to aid the workflow of data analysts in any field. As a statistical consultant and collaborator, he has contributed to many research projects. His contribution has ranged from advice on standard statistical approaches to the application of novel methods to improve statistical analysis or the development of new statistical methodology to fill a gap in the knowledge. Bayesian methods, including MCMC and ABC, for epidemiological and medical MCMC studies. 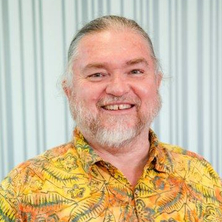 Peter is a highly experienced statistical consultant and researcher who worked at CSIRO Mathematics, Informatics and Statistics for 20 years before joining the School of Population Health at the University of Queensland. During his time at CSIRO, he worked in a range of areas including agricultural research, bioinformatics and quantitative genetics. Highlights: developed novel Bayesian methods for assessing marker dosage in sugarcane and other polyploids and applied false discovery rate methods to QTL analysis and microarrays. In addition to collaborating with a range of applied scientists to advance scientific knowledge by employing standard and cutting-edge statistical methods, several projects have had practical significance to industry including timely alerts to graziers when drops in temperature are dangerous for lambing, improved soil moisture estimation for cotton production and enhancing quantitative methods for sugarcane breeding. Recent collaborative work has informed public policy on drink safe precincts and alcohol related problems, effectiveness of mosquito nets and the effect of sunscreen to prevent skin ageing. When it can improve research outcomes, Peter is keen to apply new statistical methods to epidemiology, health and medical studies in order to extract the maximum information from study data. He is also an expert in, and advocate for, reproducible research and efficient statistical computing using the R statistical and graphics system. Please contact Peter if you would like a workshop or Introductory to Advanced R Course tailored to your needs. Intervention analysis to assess public policy via seasonal ARIMA time series models and alternatives. On a Bayesian method for QTL detection within selectively genotyped half sib families. Baker, P., Mengersen, K. and Davis, G. (1999). On a Bayesian method for QTL detection within selectively genotyped half sib families.. In Hussein A. Abbass and Michael W. Towsey (Ed. ), Inaugural Australian Workshop on the Application of Artificial Intelligence, Optimisation and Bayesian Methods in Agriculture (pp. 55-72) Brisbane, QLD, Australia: QUT Publications. Barnett, Adrian G., Baker, Peter and Dobson, Annette J. (2012) Analysing seasonal data. The R Journal, 4 1: 5-10. Adam, M., Mengersen, K. and Baker, P. (2004) Bayesian mixture modelling of species divergence. Online Journal of Bioinformatics, 5 69-90. Obrien, PH, Kleba, RE, Beck, JA and Baker, PJ (1986) Vomiting by Feral Pigs After 1080 Intoxication - Nontarget Hazard and Influence of Antiemetics. Wildlife Society Bulletin, 14 4: 425-432. Herdiana, Herdiana, Cotter, Chris, Coutrier, Farah, Tirta, Yusrifar K., Zarlinda, Iska, Zelman, Brittany W., Gosling, Roly D., Baker, Peter, Whittaker, Maxine and Hsiang, Michelle S. (2017). Use of active and passive surveillance to determine the risk factors for malaria infection in Aceh Besar, Indonesia, a low-endemic, multi-species setting (Plasmodium knowlesi, P. vivax, and P. falciparum infection) aiming for malaria elimination. In: 65th Annual Meeting of the American Society of Tropical Medicine and Hygiene (ASTMH), Atlanta, Georgia, (280-280). 13-16 November 2016. Baker, Peter (2016). GNU make for reproducible data analysis using R and other statistical software. In: R Users Conference, Stanford University, CA, United States, (250-250). 27-30 June 2016. Marquart, Louise, Haynes, Michele and Baker, Peter (2014). Impact of misspecified random effect distributions on models for panel survey data. In: Thomas Kneib, Fabian Sobotka, Jan Fahrenholz and Henriette Irmer, Proceedings of the 29th International Workshop on Statistical Modelling. IWSM 2014: 29th International Workshop on Statistical Modelling, Gottingen, Germany, (207-212). 14-18 July, 2014. Diagnosis of Hypogonadism in Obese Males: More Complex Than We Thought?. Ong, C. R., Franklin, M. E., Taylor, P. J., Galligan, J. P., Baker, P. J., Phillips, L. K., Liu, P. Y., O'Moore-Sullivan, T. M. and Prins, J. B. (2010). Diagnosis of Hypogonadism in Obese Males: More Complex Than We Thought?.. In: Endocrine Reviews. 92nd Meeting and Expo of the Endocrine Society (ENDO 2010), San Diego Ca, (). Jun 19-22, 2010. Tobacco harm-reduction with novel nicotine products: can electronic cigarettes help smokers stop smoking?